Five Points Fest is Excited to Announce This Year’s Exclusive Beer! Redhook, BKYLN based Sixpoint Brewery, is returning with another special beer brewed just for the Five Points Festival. Last year we poured the exclusive Mad Scientist Sour, and this year Sixpoint has cooked up something new. 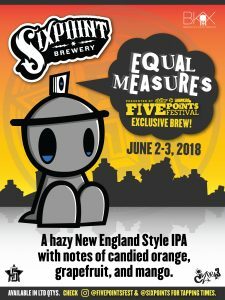 Sixpoint Brewery’s head brewer, Marcus Lutter, worked in close collaboration with UK Street artist and toy designer, Czee13 to create Equal Measures a New England style IPA with Galaxy and Enigma hops in equal measures. This blend of original artwork and masterful brewing techniques has a huge aroma with notes of candied orange, grapefruit and mango. 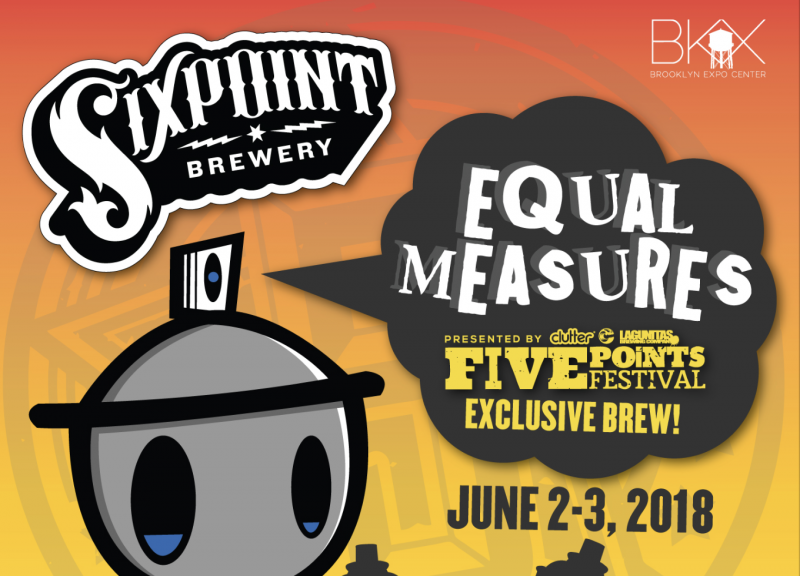 Last year our exclusive brew sold out within twenty minutes of the festival’s opening, so this year Five Points Fest and Sixpoint Brewery have set up tappings on both days. This exclusive brew will be tapped at 11am, 1pm, and 3pm on Saturday June 2nd and 11am and 1pm on Sunday June 3rd! Make sure you head to the beer garden at these times if you want a chance to try this beer before it’s gone forever!